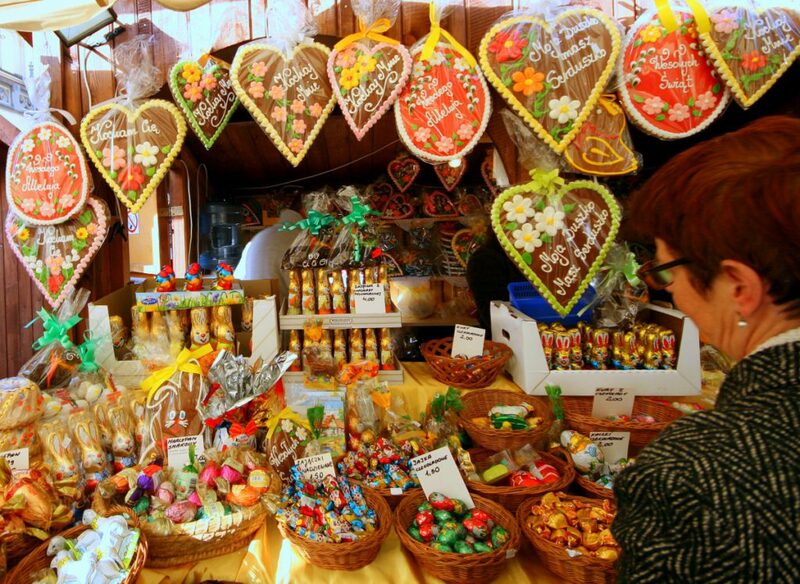 Kraków’s traditional Easter Market (Targi Wielkanocne) begins today. 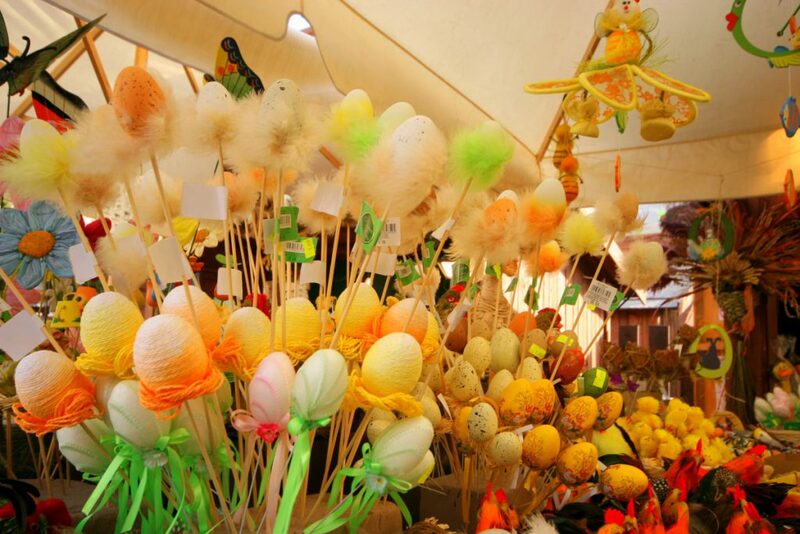 The Easter Fair will be open, until 2nd April, on the West (town hall tower) side of Rynek Główny. Almost 60 merchants are taking part this year, offering a selection of Polish art and craft products, with an emphasis on traditional Easter goodies, such as; baskets, palms, candles, Easter eggs, hand-painted porcelain, crystal, tablecloths, and much more. A selection of fresh regional and international food will be available at the fair, including lots of sweets and candy for the kids or sweet toothed grown ups. A variety of events and performances will accompany the fair to keep you entertained as you shop or enjoy a kielbasa and mulled wine, together with a palm making competition and an Easter blessing for baskets of food.